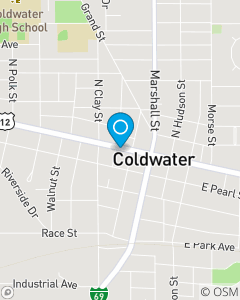 Located in Downtown Coldwater across from Tibbits Opera House. My mission is to help you plan for the Just in Case and What Could Be by providing short and longterm goals to satisfy your insurance and financial services needs. We are committed to providing new and creative customer experiences to those within our community. With over 29 years of State Farm experience, my team members will provide prompt, friendly customer service. You will come to us for a name that you can count on and stay with us for the friendly service we will provide.